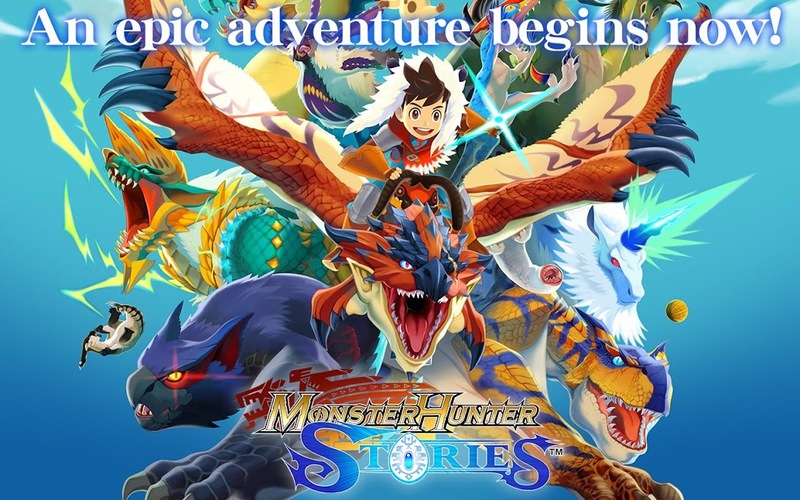 Monster Hunter Stories for Android is one of the first monster hunting role playing games. You will be in a world where monsters roam and people make a living hunting. It is based on a village whose people follow a different set of customs. They are called monster riders. They actually do not hurt the monsters but firm inseparable bond using an artefact called as kinship stones. The monsters which form bond with any of the riders will be called a monsties and will have incredible power. Monster Hunter Stories game app kicks off in a forest near the riders’ village where three young friends find a shining egg. The three friends include you, the hero, Lilia and Cheval. The three friends perform the rite of kinship and actually succeed in hatching the egg. Baby Rathalos or Ratha, as the trio name it, and they take the monster baby to the village. The next day the village is filled with monsters infected by the black blight. These monsters devastate the village and break the heart of the trio. Years later the trio will part ways and each will choose their on path. The hero will receive a kinship stone from the chief and will become a rider. He now partners with Navirou and gets involved in a new adventure, the world of hunters. You will have the power to tame the monsters, ride them and also use them in battles. The in depth action with the right gear and timing will take you from one point to the other as you get through the story. You have three different types of attacks to choose and each has their strength and weaknesses. Monster Hunter Stories for Android is an exciting world filled with monsters and folklore. Befriend countless monsters and ride them as you explore this strange world. It’s a story of kinship and success as you ride on into the world of monsters. It’s bright, colorful and has some great experience for all users. The app requires Android 5.0 and up and costs $17.99 to download from Google Play Store.